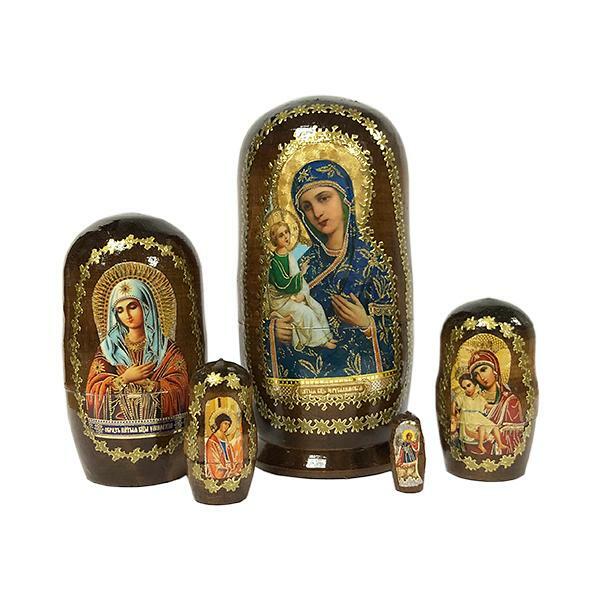 Wooden handmade nesting doll decorated with the Orthodox icons is a great gift for an Easter and church holiday. Main doll depicts famous icon with the image of Jerusalem Holy Mother of God which is also considered to be one of the most beautiful icons of Saint Mary. High quality images, golden patterns, laquered wood.